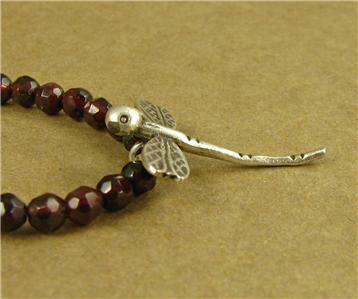 Home › Necklaces › Dragonfly and garnet necklace. Fine silver. Designer handmade. 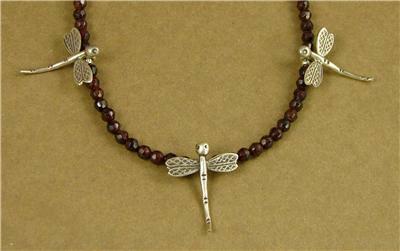 Dragonfly and garnet necklace. Fine silver. Designer handmade. 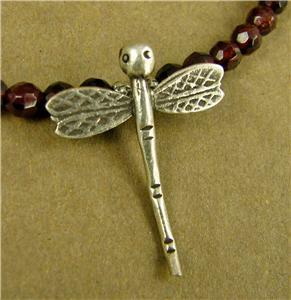 This is a lovely dragonfly and silver necklace. 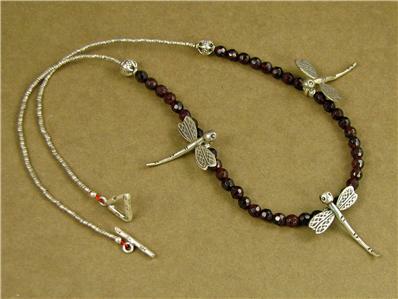 The 3 dragonflies are Karen hilltribe flower-and is the clasp and silver beads. This is all extremely pure fine silver -98%. 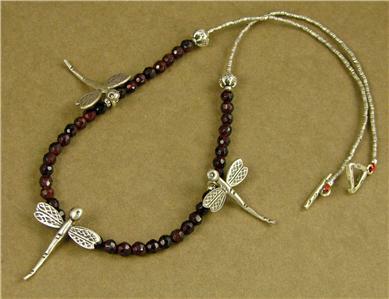 The stones are natural red garnets. 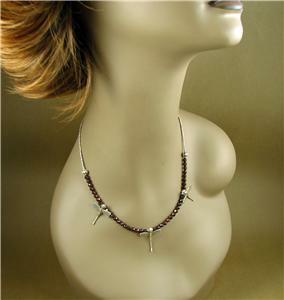 which are faceted to catch the light beautifully.